You may have spotted the attractive 2018 Honda Accord cruising through the streets of Cerritos, Los Angeles, or Long Beach. As this model grows in popularity, more and more drivers are coming to Norm Reeves Honda Superstore Cerritos with questions and inquiries. So, we decided to create this Honda Accord LX review. This in-depth look at the Honda sedan, and LX trim level specifically, will give you an idea of what this model is about. We’ll be discussing aspects such as performance, technology, and safety. 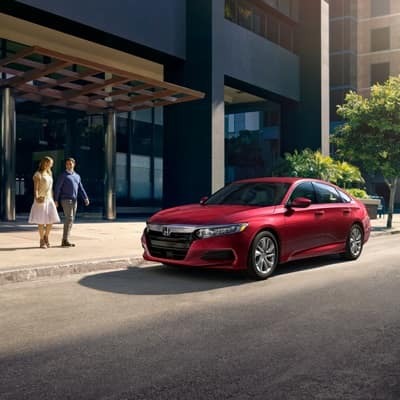 The Honda Accord is a dynamic sedan overall, and the LX trim level, in particular, sports some attractive performance features. To start, this model is outfitted with a 1.5L 4-cylinder engine with an accompanying turbocharger. The motor can comfortably produce 192 horsepower, 192 lb-ft of torque, and comes with additional performance upgrades like a drive-by-wire throttle system, an Eco Assist™ System for enhanced fuel economy, and an Active Noise Cancellation System™. 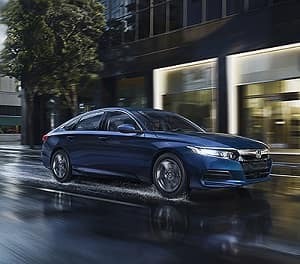 Safety is a clear priority in every Honda model, and this holds true for the Accord LX, which displays a knack for protection thanks to some impressive technology features. The most prevalent addition is Honda Sensing®, which comes standard in the LX. Honda Sensing® combines four distinct safety features: a Collision Mitigation Braking System™, Road Departure Mitigation System™, Forward Collision Warning, and Lane Departure Warning. This quartet will keep you alert and safe as you travel home through rush hour traffic. There’s also a handy Multi-Angle Rearview Camera with Dynamic Guidelines. This camera is great for first-time drivers because it gives a very clear image of the rear of the vehicle when you reverse. The last piece of the puzzle we’ll be discussing is the audio and connectivity settings found in the Honda Accord LX. For starters, this trim level sports features like a 16-watt audio system and four speakers, a 7-inch screen with customizable feature settings, and the trifecta of Bluetooth® HandsFreeLink®, Bluetooth® Streaming Audio, and Pandora® compatibility. All of this together gives you the ability to play music with simple verbal commands while you’re on the road. If you haven’t created a playlist yet, the Pandora® compatibility opens up a world of music right at your fingertips. Why Not Test Drive the 2018 Honda Accord LX? This Honda Accord LX review touched on features like safety, performance, and infotainment. There’s much more to this attractive sedan as well, and you can explore it all by taking a test drive through Cerritos, Los Angeles, and Long Beach. 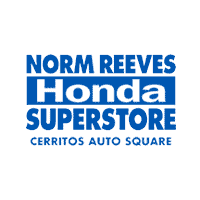 To do this, just reach out to Norm Reeves Honda Superstore Cerritos today!